There are no upcoming “Pilates Open Level Mat” classes on this day. 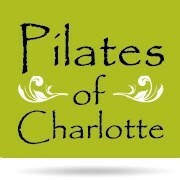 This was a great beginners course to Pilates. Jennifer gave clear instruction and provided hands on individualized cues/support. The class size was small, which I liked. The studio is comfortable and clean. I will be going back!! It was like having a private Pilates lesson! This class was great! I am new to Pilates, but Jennifer was very helpful with her instruction. I will definitely be going back again.